Here’s a question for you. Do you know how many times a day your chest rises and falls as you breathe air? The answer is roughly 23,000 times. Isn’t it strange that we take the act of breathing for granted? We must breathe to live. And most of us know that, for the good of our health, we should open our lungs and breathe deeper now and again. Yet how often do we do it? Nobody talks about the potential power in the breath we take every few seconds. We’re not talking about lung strength or lung capacity. We’re talking about breathing as a life-giving, life-changing thing. It might sound far-fetched to say that changing how you breathe can change your life. But it’s true. Let me explain. Most of us never think twice about our breathing. It’s part of the parasympathetic nervous system, meaning it runs on autopilot. So we don’t consider its importance to our health apart from knowing that the regular movement of air flow into our lungs keeps us alive. But not only is breathing necessary for our survival, the way we inhale and exhale air is vitally important for our health. Bad breathing can lead to bad health. Helps us to relax. 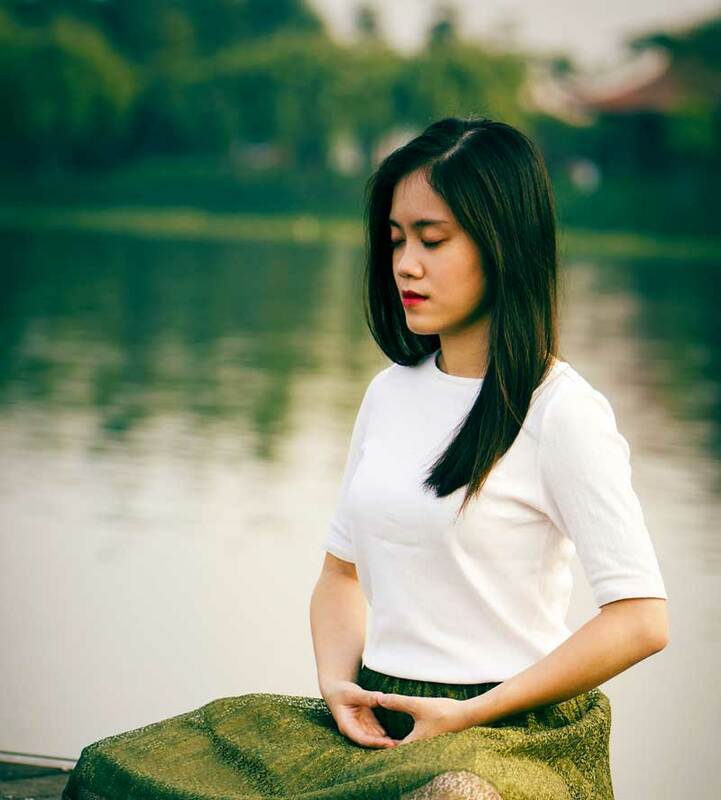 A 2017 study in the US National Library of Medicine showed that patients undergoing diaphragmatic breathing relaxation programs experienced significant reductions in anxiety. Improves our mood. Deep breathing resets the autonomic nervous system, which controls the parasympathetic nervous system responsible for controlling the body’s response to danger and distress signals. Lowers our blood pressure.Relaxation and a reduction in stress are important factors in bringing down blood pressure levels. This is another reason to breathe into your abdomen as a relaxation tool. Increases energy levels. Who doesn’t want more energy? Even without science, it’s easy to see that breathing deeply in a controlled way fills us with energy, awakens our mind, and makes us more alert. Improves focus. Calm minds are focused minds. Olympic biathletes learn to lower their heart rate through breathing skills that help them shoot better. 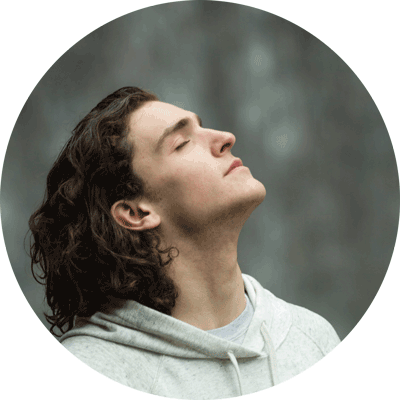 Through learned breath techniques, they calm their minds and bodies to help them focus on their single objective. Aids sleep. The quality of your sleep can determine whether you’re grumpy or chirpy. A good night’s rest can be the difference between a focused or distracted day’s work or a good performance and a forgettable one. Studies have found that deep yogic breathing has a positive effect on the quality of sleep, time to fall asleep, and incidences of sleep disturbance. We’re all familiar with the epidemic of text-neck, back pain, and slouched posture that afflicts office workers, drivers, and many other professions these days. Slouching is more than just aesthetics. Slouching destroys our posture. And the problem with putting your body in these unnatural positions for extended periods is that it affects our breathing. When we lean over our desks we restrict our breathing. By craning our necks to use mobile phones or by sitting slumped on a sofa, our lung capacity is compromised. What happens when our lungs compress? Well, it should be obvious by now that shallow, erratic, and fast breathing mimics a state of stress or fear. Breathing shallow or not allowing breath into the abdominal cavity sends unconscious signals to our brains that things are not right. Our mammalian brains, still wired for coordinating hunting, foraging, and outrunning wild animals, floods our body with stress hormones and this puts us in a permanent fight-or-flight state. This is not good if maintained in the long term. Short term, it helps us survive, or it would if we were still hunter-gatherers. The important thing to remember is that if we act like we’re stressed, we will be. Proper breathing can help switch off the stress response and activate the calming, feel-good hormones that rejuvenate and stimulate us. Have you noticed that when we’re stressed we breathe shallow and fast? We also tend to slouch, compressing our chests. Meditation and yoga are two ancient practises that are scientifically proven to reduce stress, encourage positive emotions, and induce a sense of calm. And conscious breathing is a big part of both meditation and yoga. In fact, yogis and meditation gurus will confirm that practising either discipline without focusing on your breath is not real practice. It’s a form of going through the motions. The breath is the centrepiece of the spiritual and physical aspects of both practices. Yoga breathing or breath control (Pranayama) can help us, along with the asanas, purify the body and discipline the mind. With controlled breathwork, we can help unblock physical and emotional barriers that prevent the flow of prana, what yogis call ‘life energy’. The theory is that there’s a link between our breathing and our emotions. How you breathe affects your mental and emotional state and vice versa. Once we learn how to breathe better we can positively affect our health through the mental, spiritual, and physical connection. Meditation breathing is a form of mindful breathing. We cultivate mindfulness by putting our attention on the breath. This technique practised regularly, proves helpful in dealing with difficult situations. It can help us live less stressful situations and reduce negative emotional states by creating a sense of calm. It is hard to be angry or negative towards others and the world when you feel calm. Mindful breathing is also about helping the mind stop wandering. Technology and the busy demands of life distract us. Imagine if we could just focus on one thing for a while. Being in the “now” is a powerful thing. It all starts with a breath. While meditation focuses on the breath as a channel to influence the mind, conscious breathing focuses on releasing tension and removing stress. Stand up straight. Don’t slouch. Try to think about opening your chest rather than bringing your shoulder forward. Good posture is more important than most people realise. Are your shoulders rounded? Is your chest tight and restricted? Talk to an exercise coach or physical therapist. Tightness across the front of the upper body is often due to overworked and short pectoral (chest) muscles combined with loose, weak back muscles. Guided weight training, pilates, and yoga can fix this imbalance. Try to take time out every day to breathe deep and to relax your mind. Move away from the desk and get outside if possible. Breathing in cool or warm air (depending on the season) and enjoying the smells of nature are excellent ways of stimulating the mind and body. 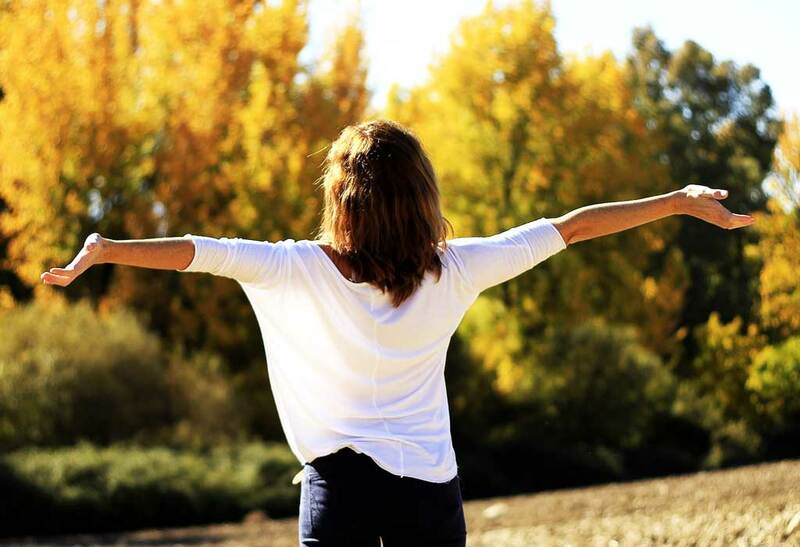 Breathe deep purposeful breaths to boost your energy levels and help you focus. Try to add conscious breathing to your exercise routines. Do you walk, run, lift weights, swim, or cycle without giving a second thought to how you breathe? If you don’t give a second thought to breathing “form”, don’t worry. You’re in the majority. Breathing is often a neglected part of sports coaching. Ask any Olympic weightlifter how important it is to control their breathing. Most of us are not Olympians but we might be runners or swimmers. Consider that using breathing right while running can improve your times, improve your posture, and reduce your stress levels. It’s important to understand that nose breathing is a habit we should all learn to cultivate. It might seem like an insignificant difference but breathing through the mouth doesn’t offer the same life-giving benefits as nose breathing. Inhaling through the nose slows down the breath so it enters the body in a more controlled fashion. The warming of the nasal passage helps the lungs avoid dealing with cold, dry air. The nose is also designed by nature to filter out nasty stuff that might enter the lungs. Be a nose-breather, not a mouth-breather! “Better Breathing” as a concept has been around for a long time. Thousands of years of pranayama meditation is no fad. Yet some of the benefits go beyond the scientific. Learning breath control offers health benefits beyond what we can measure. One of the easiest things you can do today to give yourself a health boost is to give some thought to your breathing. A simple breath can be the difference between life and death. Health-giving breathing routines should be part of the daily regimen of every health-conscious Australian. 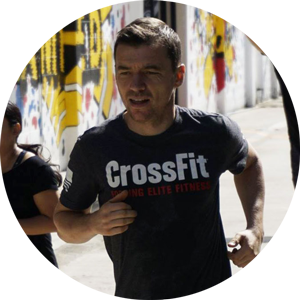 Keith Lang is a health & fitness writer, ex-personal trainer, and qualified fitness instructor. Keith practises yoga and meditation daily and enjoys CrossFit. When he’s not writing and learning about wellness, he runs a marketing agency.